That was Attorney General William Barr testifying before the Senate Appropriations Subcommittee on Commerce, Science and Justice on April 10, acknowledging that the Trump campaign was spied on by the Obama administration during the 2016 election campaign. Barr outlined his impending review of the conduct of the Justice Department, the FBI and U.S. intelligence agencies in launching surveillance and an investigation of the Trump campaign for conspiring with Russia to interfere with the 2016 election — a crime we now know was never committed. And of course spying occurred. The nearly three-year investigation was complete with Foreign Intelligence Surveillance Act (FISA) warrants, approved in federal court, that allowed federal officials to look at Trump campaign emails, listen to phone calls and see other communications. That’s what a FISA warrant does. It’s for surveillance, which is right in the name of the statute. That is spying. What’s worse, the months-long surveillance resulted in individuals being prosecuted for unrelated process crimes and otherwise destroyed people’s lives, only to find out later there was no conspiracy or coordination with Russia after an exhaustive probe by Special Counsel Robert Mueller. As for whether the spying was justified, one need only look to the fact that there was no conspiracy by Trump with Russia, and the basis for the investigation into Trump, his campaign, the transition and then the Trump administration could not have possibly been adequately predicated. Because it was based on a slew of lies. The dossier that the FISA warrants relied on, by former British spy Christopher Steele, was paid for by the Democratic National Committee (DNC) and the Hillary Clinton campaign. But Steele says he never went to Russia, and he has stated in testimony that the allegations needed to be “further corroborated and verified.” He relied on a network of informants. Right off the bat, it was second-hand and maybe even third-hand information, hearsay that should have never been admissible in a court of law. Steele was not an eye witness to any of the allegations he published and it is not even clear that his sources were, either, since in some cases, the events described never even occurred. Steele said the sources were Russian but did not name them: Source A was a “former top Russian intelligence officer”; Source B was a “senior Russian Foreign Ministry figure”; Source C was a “senior Russian financial official”; Source D was a “close associate of Trump” (golden showers source); Source E was an “ethnic Russian close associate” of Trump (golden showers source); Source F was a “female staffer of the hotel”; and source G was a “senior Kremlin official”. Were these sources even real? Was it Russian disinformation that the FBI then acted on? Was the FISA judge ever advised about Steele’s own doubts about the allegations? In fact, almost none of the principal allegations panned out. Former Trump campaign advisor Carter Page was never charged with any crime, let alone committing espionage in league with Russia to hack the DNC and put the emails on Wikileaks while on a business trip to Moscow in July 2016. Former Trump campaign manager Paul Manafort was brought up on unrelated bank and tax charges predating the campaign. Former Trump Organization attorney Michael Cohen never traveled to Prague in his entire life, let alone in August or September of 2016 as the dossier alleged, and so he very well could not have been there meeting with Russian agents to mop up the fallout of the hacks and Wikileaks publications. Later it was contended that the basis for the investigation was not the Steele dossier or Carter Page, but former Trump campaign advisor George Papadopoulos, who was promised Hillary Clinton private server emails by Joseph Mifsud. But Papadopoulos is now contending in his new book, “Deep State Target,” that the meetings he participated in were set up, not by Russian intelligence, but Western intelligence agencies to create the appearance that he was coordinating with Russia. In short, that it was some sort of sting operation. Barr needs to explore those allegations, too, even if they reveal that U.S. allies were intimately involved with the operation to spy on the Trump campaign. Papadopoulos deserves his reputation back. Here, Barr is spot on in his implied reference to the select committee led by the late Sen. Frank Church (D-Idaho), convened in 1975 to investigate the revelations of Seymour Hersh’s report to the New York Times on Dec. 22, 1974 that the CIA had been engaged a mass, domestic surveillance program against anti-war protestors, members of Congress and other political figures. The committee led to the adoption of FISA in 1978, which was supposed to prevent this sort of political spying from ever occurring again. It failed. Whether that was because it was violated or, worse, is so permissive of domestic spying that it allowed the Russia collusion hoax to be perpetrated on the American people is an important question that needs to be answered. But that is only the beginning of the work that must be done. Meaning, what we may learn at the end of the day is that FISA is not up to the task of preventing these types of abuses of power. But we’ll see how this goes. Maybe shady accounts like the Steele dossier, that is, the use of unverified, raw intelligence is commonplace when officials go in to request FISA warrants. A common refrain is that these tools are necessary to stop terrorists and other bad guys. But if innocent Americans can be portrayed as enemies of state and targeted for surveillance, that’s a huge problem. Barr and the Justice Department do indeed have an obligation to identify and prevent these sorts of abuses. Courts depend on the officers of the court as reliable sources of information but these probable cause hearings amount to little more than rubber stamps. Probable cause has been watered down to mere “reasonable” possibilities. Good luck showing an application was constitutionally defective, and if the FISA warrants were unconstitutional, courts generally allow the evidence to still be used if the officers acted in “good faith.” The rules are so stacked in the prosecution’s favor that abuses like those seen with the Russia collusion hoax are truly probable. And innocent people are going to be targeted again if we don’t figure this out. But even after the Edward Snowden disclosures of mass surveillance by government agencies were revealed, and almost nothing changed, there is little hope it will ever be reined in. Indeed, this type of spying has been going on for generations. Barr did point to ongoing investigations by the Justice Department Inspector General Michael Horowitz that are reviewing these very questions and the nation patiently awaits those findings. But Barr has his work cut out for him, and there are very good reasons to be cynical about the ultimate outcome. The deck is hopelessly stacked. 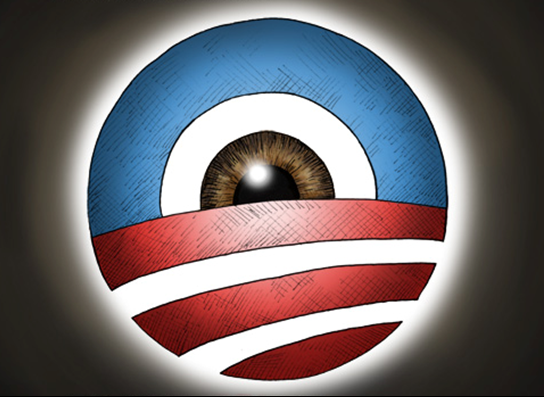 The bottom line is that if the spying that happened here is not against the law, it needs to be. This was a trial run for tyranny. Unfortunately, Congress has proven time and again that it has no intention of stopping mass surveillance. We live in a police state.